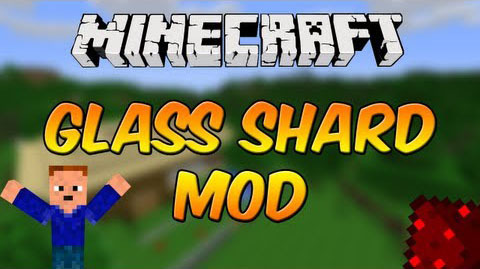 Glass Shards Mod is a simple Minecraft mod that is able to change the way glass in Minecraft doesn’t drop anything when broken. Breaking glass blocks or panes has a random chance of dropping glass shards. You can smelt them in a furnace to get your glass back. So you now have a lossy way of converting panes back into blocks. You can configure the probability as you see fit. Panes drop accordingly less than blocks. Stained glass and panes drop stained glass shards. Uncolored glass shards can be stained with dyes, and you can remove the color from glass shards by using gunpowder. These features are configurable too. Also, you can use your shards to make a sword. It has iron level attack damage but it doesn’t last very long. 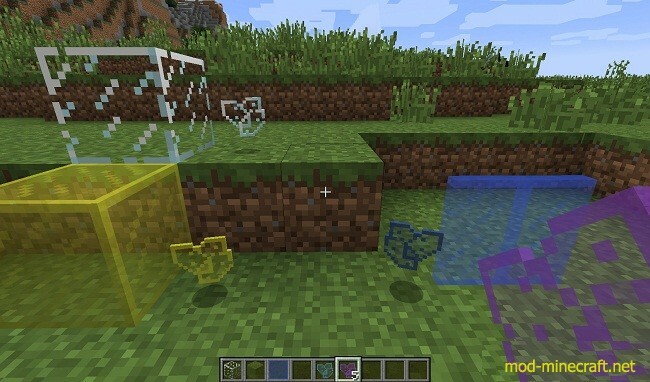 The shards dropping is compatible with Chisel, MineFactory Reloaded, Tinkers Construct and EnderIO glass if configured.